Underwhelm me, I dare you RoboCop. If I were judging this film solely by its action and direction, I would say it is more than impressive, amazing, in fact. But, good action does not exactly equal to a good movie, so I must also pay respects (or disrespects) to the writing. 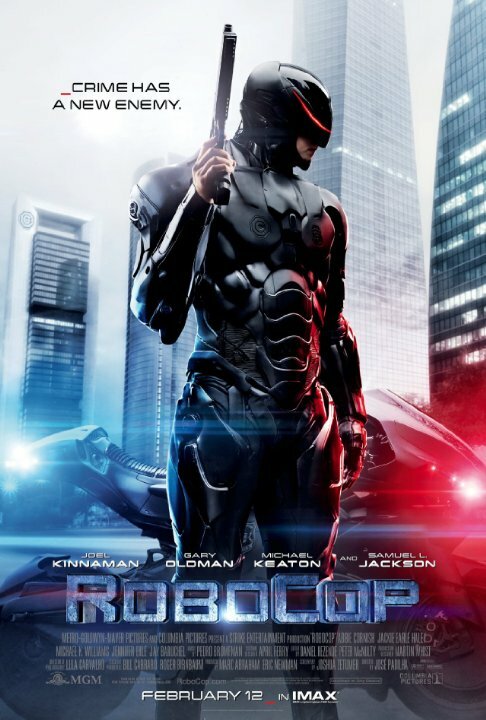 To start out, I must admit that I am not a big fan of the original RoboCop. It's good 1980's action fluff, but it isn't a standout in the action genre, at least to me. And just like with Total Recall two years ago, they made another remake of a popular cult action flick, but not as good. Seeing the recreated scenes and lines was entertaining, I must admit, but the rest just wasn't meant to be made. I must say I was very impressed by how this film began. It is easy to tell that the makers wanted to outclass the original, to make a more developed one this time around. And while they put excellent effort into the first twenty minutes, the hole film plummets into weak writing and dry acting from there. It was definitely the middle and final act of the movie where it all began to die. Filled with opposing and conflicting messages, pretty much everyone struggled to keep up with the tone, so they crammed it full with excess CGI and gunfights. Don't get me wrong, it didn't look bad, but I don't think using violence around every corner and acting badass is an intelligent way of masking relatively empty writing. I simply have to say that they put way too much emphasis on Murphy's character. In the original, Verhoeven didn't even pretend to be mature. He knew what he was making, an action movie. So he structured it like this: cop gets hurt, slap the suit on him, go kills some bad guys. And it was enjoyable! Here, they chose the route of an overly complicated physical and emotional recovery, which admittedly would be very realistic if this were an actual thing in real life, but it isn't, so they honestly wasted their time stressing something I didn't necessarily want to see. In the end, the remake is a remake. And it will always a conflicted type of movie. In some cases, you can't defy what made an original good in some regards in the first place, and you definitely can't make a serious RoboCop.